January 21, 2015 - London/ Islamabad—The photographs of purported spouse of former President and PPP Co chairman Asif Ali Zardari have come to limelight after reports of his secret marriage broke some time back. A Pakistani journalist has claimed that Asif Ali Zardari tied knot secretly with a women living in UAE, reported a London based news website. In a tweet on social website, a journalist Asad Kharl without naming former president’s spouse claimed that the prevailing rift between Mr. Zardari and his son and chairman PPP Bilawal Bhutto surfaced after the reports of former’s marriage. Mr. Zardari has a son from his second marriage. 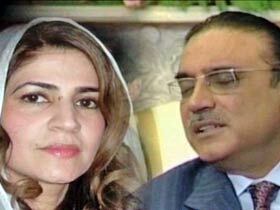 Now reports started appearing in several websites naming Dr. Tanveer Zamani as Zardari’s spouse. 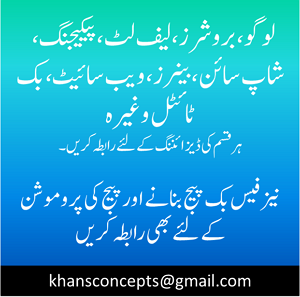 Pakistani websites also posted her some photographs. Meanwhile, sources revealed that in January 2011, Asif Zardari, President of Pakistan at that time, got married to Dr. Tanveer Zamani according to Muslim Shiyat bylaws in Dubai. Now Asif and Tanveer Zardari has a two- year old son Sajawal, named after the father of Haji Mohammad Hussain Zardari who was the grandfather of Hakim Ali Khan Zardari; is this little step brother Zardari Jr., a real cause of Bilawal’s repulsion and inclination back towards Bhuttos? The source said that despite repeated requests from his farther and other party senior members Bilawal Bhutto Zardari opted to stay away and did not participate in his mother, Mohtarma Benazir Bhutto death anniversary held in December last year. This news also published by Pakistan Observer in its front page.